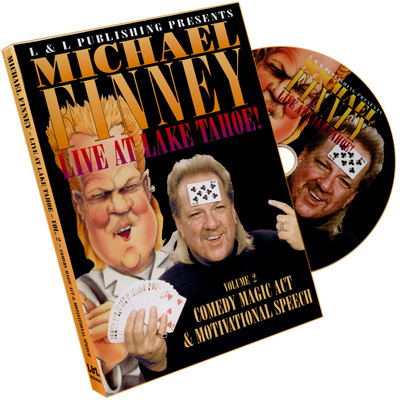 Michael Finney's magic and comedy have taken him around the world. Comedy clubs, corporate functions, network TV - you name it, he's done it, including an appearance at the recent Presidential Inaugural galas. 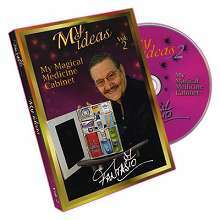 He has been nominated for Magician of the Year, received the Silver Lion Head award for excellence in comedy and magic from Siegfried & Roy, and had his first real break in the business as a finalist in a Star Search competition. For the past 14 years, Michael has headlined comedy clubs across the country as well as entertained many corporate clients. Michael is no stranger to the networks either as he has performed on NBC's World's Greatest Magicians and World's Wildest Magic shows. He also performed on the Fox Network with Magic Johnson on The Magic Hour. He is also the most sincere and personable guy you will every meet. 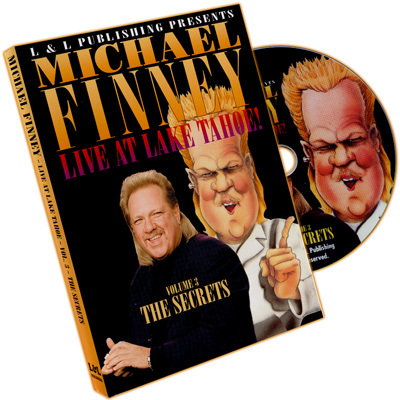 In this remarkable video series, Michael Finney shares the things that made him such a success; - the jokes, the magic...and even a few tears along the way. 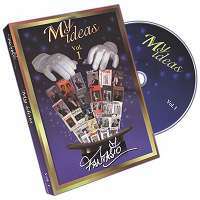 This is more than just an instructional DVD series. It's an encounter with a remarkable human being who overcame huge obstacles in his life to become one of America's top performers. You'll come away from this video series inspired to not just be a better performer but maybe even a better person. Cane to Hat Table - A great opener for a comedy magic act. Six-Card Repeat - A venerable classic with the Finney touch, complete with a story that hangs it together and a pure show-biz ending. Professor's Nightmare - A trick many have discounted comes to life in the hands of a comedy master.
" No" - It's an old gag but with the right timing, can still send an audience into convulsive laughter. 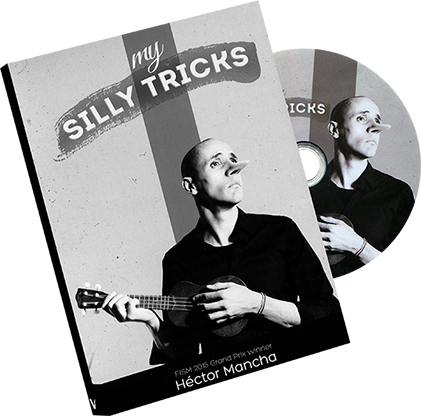 1-2-3-4 - A surprising piece of mentalism that stuns even jaded comedy club audiences. Lady Rope Routine - One of Michael Finney's trademark pieces. This is the multi-phase routine that has taken him around the world. Sponge Ball Routine with Watch Steal - Two sponge balls, a spectator, a missing watch and a whole lot of laughs! Card on Forehead - Michael's other signature piece; a routine that has everyone in stitches and the guy on stage wondering what's so funny! Motivational Speech - This is a rare and extremely candid glimpse into the mind and heart of a top professional. In this segment, Michael opens himself up to the audience (and to you) as he relates the story of his rise up the show business ladder. Hear how Michael overcame tremendous obstacles to reach his goals and he will surely inspire you to reach for the stars in your own career ... and life! What's more, he shares many of the promotional ideas and marketing tools he uses to maintain his position as one of America's busiest performers.